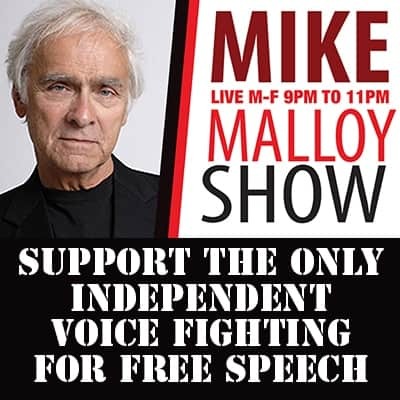 Another One Bites the Dust - Mike Malloy Radio Show : Progressive Radio : Online Video Streaming : The Best In Nighttime Liberal Talk! M-F 9pm-12am. | Mike Malloy Radio Show : Progressive Radio : Online Video Streaming : The Best In Nighttime Liberal Talk! M-F 9pm-12am. It’s never boring, eh Truthseekers? It’s a carnival fun house. A merry-go-round of cabinet members and senior staff. Personal lawyers and White House Counsel spinning on a Ferris wheel – stopping and starting and dangling. And there is no permanent Attorney General. But the Very Stable Genius tells us that all is well. Oh, and we’re pulling our troops from Syria and maybe Afghanistan. And there will be a government shutdown since the toddler wants his wall. General Mattis wrote a pointed resignation letter, stating that he and Trump did not share the same foreign policy view and objectives. For example, Mattis believes we should respect our allies and NATO partners and maintain our global standing as a symbol of democracy. Whereas Trump cuddles up to dictators and murderers, insults our allies, and weakens respect for our nation overseas. There’s just no philosophical agreement there, it seems. Probably because Trump is a psychopath. Mattis wrongfully assumed Trump would listen to the 40+ year veteran generals on his staff and take their counsel and advice. But that would require a sane mind. What normal person would work for Trump? Even a super patriot who wants to save America from The Donald can only challenge the madness for so long. Tariff Man does not attract the best and the brightest to his side, after all. More like the crooked and racist. Who knows what slimy creatures will get coughed up out of the swamp and thrust upon us next. Maybe even a Newt. We are live tonight, have a holiday classic for you tomorrow on Friday, then we return Monday Christmas Eve for a live show. We are visiting family out of town Christmas Day through Friday of next week. Returning LIVE on New Year’s Eve! Happy Holidaze, keep it lit!